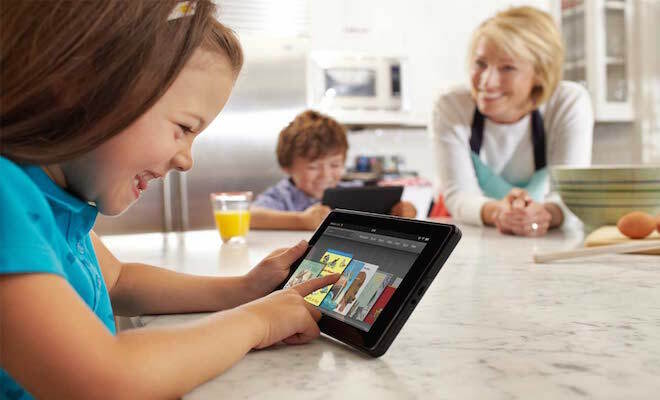 Kids and technology go hand-in-hand when it comes to family vacations. But before you let your child connect to that airport Wi-Fi, or search on your phone – you should know these key tips that will help keep you safe from identity theft. Experian’s ProtectMyID has key tips for families this vacation season – related to on-the-go technology and risks. Get your Own: Consider a portable router to create your own Wi-Fi hotspot for your family?s devices. You?ll need a local SIM data card, which is available at most electronic stores or even airport kiosks. This will help you avoid using public Wi-Fi Spots. Don’t Welcome Hackers: When you use a public Wi-Fi, make sure you are logging into secured/private networks. If you must use public Wi-Fi, be very cautious of using unsecured networks. Hackers have a better chance of accessing your login details and any credit card information you may have entered on an unsecured network. Be Careful about Being Social: Using social media while you travel can be a great way to share highlights from your family?s trip but remember- checking in or posting pictures can alert someone that your home is vacant. If you really want to share these photos, make sure to set your privacy settings on your FB page to ?friends? only. However the best option is to delay posts until you are back home to limit the number of people who actually see these pictures. Make Sure it?s Legit: Before logging onto a website from your mobile device, make sure theURLs are legit. There are plenty of URL spoof sites out there, created in order to steal your information. Unfortunately mobile browsers do not show the URL, so it is best to bookmark your favorite sites after you type in the address. Think Twice About Tweeting: Twitter is just as target-friendly by hackers as other social media accounts like Facebook, therefore be conservative in what you reveal through your Twitter account. Tweeting your goodbyes or elaborating on how long you?ll be out of town or where you are going is not a good idea. Guard your social networks: If you have a blog or social accounts, such as Facebook and Twitter, use the highest security settings possible to ensure your information, posts and photos aren?t being leaked onto the Internet. Use strong passwords: Use a mix of upper and lowercase letters, numbers, symbols and punctuation to make your passwords harder to crack. Protect your mobile devices: Losing your mobile phone, a thumb drive or laptop can be just as bad as losing your wallet. Be sure to protect your mobile devices with passwords and encryption. Avoid skimming: If you have to use an ATM during your travels, be sure that it is in a secure location, and whenever possible, use one stationed at a bank branch. Fake ATM machines are known to have been placed in high traffic tourist areas. Shield your pin entry with your other hand to avoid shoulder surfers. Debit cards also provide thieves with a direct pipeline to your bank accounts. When used with a PIN, you need not sign for the purchase. When used for a ?credit? purchase with a signature, no confirming PIN is needed. This is why debit cards are deemed valuable to thieves. It is also more difficult and time consuming to resolve fraudulent purchases made with debit cards than to resolve those made with credit cards.